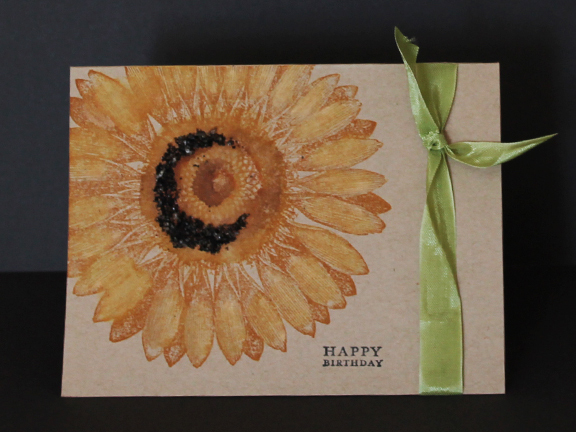 This entry was posted in Card Making, Paper Crafting and tagged birthday card, Stampin' Up!, sunflower by chautona. Bookmark the permalink. While the sentiment does get a bit lost, it is still a nice and simple card. I wonder if a tag would take away from the beautiful sunflower.